The anecdotal beliefs from the anti-vaccine religion that vaccines kill babies, children, and adults (warning, the link is from Natural News, one the worst websites for scientific credibility) is frustrating. Dorit Rubinstein Reiss and I have written two articles, about Nick Catone and Colton Berrett, that refute parental claims that vaccines killed their children. Those boys deaths were tragic, but according to the best evidence we have, neither were the result of vaccines. Deaths attributed to vaccines are often not causally related. It may feel like one event that follows another event is related, which is the post hoc ergo propter hoc fallacy. There may not be any correlation, let alone causality, that would make us accept that vaccines kill. Those of us who accept the fact that vaccines are very safe, and indeed, not really a risk for causing death, have found no evidence that there has been a single death attributed to vaccines over the past couple of decades. But that’s just examining the high quality scientific and medical literature, which may or may not be 100% inclusive of all post-vaccination mortality. Now, I’ve always contended that there is no evidence that there has ever been a death attributed to vaccines. I never agreed with the old adage that “science can’t prove a negative,” but I do think that the burden of proof is on those making that claim. Where is the evidence of a link between vaccines and mortality? Sometimes, the absence of evidence can be evidence of absence, Carl Sagan’s claims notwithstanding, especially if we look very carefully for that evidence. Let’s move on to this pivotal study in our understanding of whether vaccines kill. They don’t. Natalie McCarthy et al. published an article in Pediatrics that examined the deaths of individuals, between the ages of 9 and 26, between 1 January 2005, and 31 December 2011, a period of seven years. During that seven-year period, there were 1100 deaths identified within the 12 months following any vaccination among nearly 2.2 million patients (receiving nearly 8.5 million vaccines) enrolled in the Vaccine Safety Datalink (VSD), a collaborative project between the Centers for Disease Control and Prevention (CDC) and several managed health care systems, which monitors the safety of vaccines in the United States (see Note 1). Just to clarify, these 1100 deaths were all deaths after vaccination, which would form the cohort to analyze whether or not these individual’s deaths are correlated to vaccines, and whether there is any indication of causality. 60 of those 0-30 day deaths followers receipt of 1 vaccine, 11 had received 2 vaccines, 2 had received 3 vaccines, and 3 had received ≥ 4 vaccines. The researchers performed a cluster analysis, a statistical methodology to determine if there are patterns of data over time. As a result, they saw no clusters of data, so chose a 0-30 day window of the risk of death post-vaccination to ascertain biological plausibility and potential causality. Of the 76 deaths, 17 lacked a medical record of death and had to be excluded from the study. These deaths were reported to state authorities but lacked any information that might have allowed researchers to establish a causal relationship with vaccines (see Note 2). This left 59 with detailed medical records of the death. Of the 59 deaths, 33 were directly attributed to external causes, including murder, suicides, and accidents. These are definitely not related to vaccines, although I wouldn’t put it past an anti-vaccine adherent to claim otherwise. Further, 25 were related to non-external causes: these included 5 neoplasms, 6 diseases of the circulatory system, 3 diseases of the respiratory system, and one each of Addison disease, Rett syndrome, cerebral palsy, Takayasu disease, aplastic anemia, grand mal seizure, diabetes, obstetric cause, congenital malformation of heart, septic shock, and morbid obesity. The cause of one death was unknown (again, see Note 2). The next step of the research was to examine the potential causality between vaccines and the death of the patient. A team of CDC physicians individually reviewed the complete medical record review forms and additional documents to confirm the stated cause of death – they then assessed the possibility of a causal relationship between death and vaccination. To be thorough, if the documents on the cause of death were incomplete, the CDC ordered coroner’s reports. And if the review at that point could not clarify the cause of death or association with vaccines, investigators from the CDC and each VSD site further studied the case. indeterminate (if the evidence was insufficient to confirm or rule out a causal relationship). Out of the 59 cases, 56 showed no relationship to vaccines. External causes, like homicide, suicide, and accidents, were obviously eliminated from having a relationship with vaccines. Only three required a deeper assessment to determine whether there was evidence for a causal relationship that would support the claim that vaccines kill. 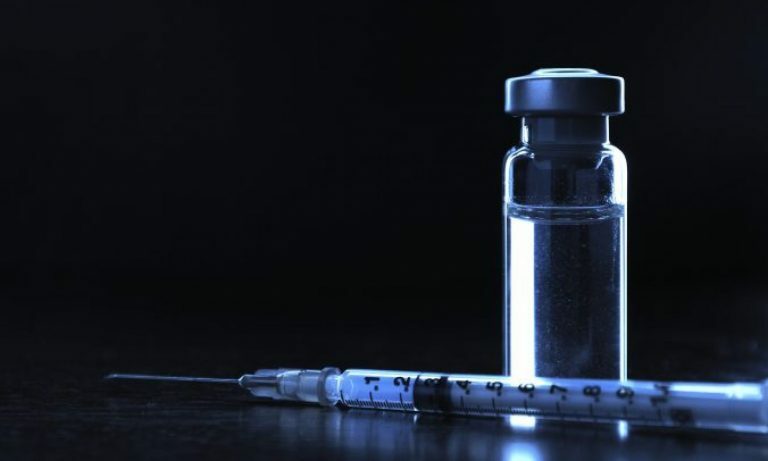 The second case included a patient who received the Tdap vaccine (for tetanus, pertussis and diphtheria) and the quadrivalent HPV vaccine 11 days before death. The cause of death was given by the coroner as “unknown.” Lacking a cause of death, the working group was unable to determine a relationship between the vaccine and the death, and could not confirm or rule out a causal association (once again, see Note 2). Thus, after 8.5 million vaccinations, only three deaths might have been related to the vaccinations. However, upon further evaluation show us that one case was definitely not related to the vaccine and that the two other cases had no evidence that supported a conclusion that vaccines kill. None. One of the most surprising pieces of data is that the of the non-external causes of death (those that might be related to vaccines) after vaccination was 43% lower than the general population, a statistically significant number. In other words, getting a vaccine probably reduces your risk of death from all non-external causes. Why? Reduction of disease is the obvious one. But also, we can assume someone who is vaccinated is generally healthier, seeks better health care practices, and simply doesn’t die early. So to those of you who claim that vaccines kill – well I have evidence in a cohort study that vaccines save lives. How about that? Study looked at deaths after 8.5 million vaccinations in the VSD. Only 76 deaths were found with 30 days of the vaccination, the biologically plausible cutoff date for a temporal causal relationship. Of those 76 deaths, 17 lacked medical records (so the cause of death was indeterminate), 33 were attributed to external causes (homicide, suicide, and accidents), 26 were attributed to non-external causes. Only three warranted further examination as to causality – of those one was found to not be related, and the other two lacked evidence to establish causality. The overall risk of death post-vaccination is lower than the general population. This was a thorough examination of a population of vaccinated individuals with detailed medical records that allowed neutral observers to deduce whether the vaccine(s) were related to mortality. And what they found was that there was no relationship. So the hypothesis that “vaccines kill” is rejected. And the hypothesis that “vaccines save lives” is supported. In case you didn’t know, the VSD is a powerful tool to examine the safety and effectiveness of vaccines. It captures comprehensive medical histories for over 9 million individuals who are vaccinated annually. The VSD has access to electronic medical records and other data at each site which allows researchers to exhaustively analyze correlation and causation between vaccinations and medical outcomes – including mortality. I know what some readers might think – “well just because you exclude those 17 deaths, doesn’t mean that it was not caused by vaccines. That is called the argument from ignorance, which states that if you can’t prove A is true, it does not mean that it’s untrue. Or in this case, just because we can’t prove that those 17 deaths are not linked to vaccines, it means it might be true. That’s just lame. Editor’s note – this article was written in February 2016. I have copy-edited to clean up the writing (it was bad), fix some broken links, and make stronger points about the belief that vaccines kill especially in light of a couple of stories that are being passed around the internet about vaccines killing young kids. Baggs J, Gee J, Lewis E, Fowler G, Benson P, Lieu T, Naleway A, Klein NP, Baxter R, Belongia E, Glanz J, Hambidge SJ, Jacobsen SJ, Jackson L, Nordin J, Weintraub E. The Vaccine Safety Datalink: a model for monitoring immunization safety. Pediatrics. 2011 May;127 Suppl 1:S45-53. doi: 10.1542/peds.2010-1722H. Epub 2011 Apr 18. Review. PubMed PMID: 21502240. McCarthy NL, Gee J, Sukumaran L, Weintraub E, Duffy J, Kharbanda EO, Baxter R, Irving S, King J, Daley MF, Hechter R, McNeil MM. Vaccination and 30-Day Mortality Risk in Children, Adolescents, and Young Adults. Pediatrics. 2016 Mar;137(3):e20152970. doi: 10.1542/peds.2015-2970. Epub 2016 Feb 1. PubMed PMID: 26908690.